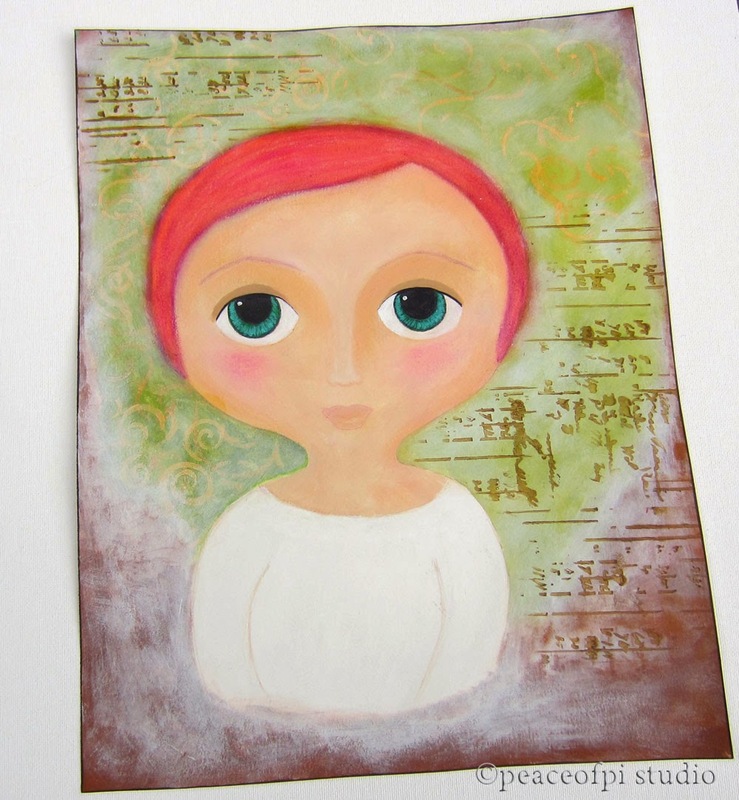 Inspired by Folk Art, the girl in this painting has her eyes fixed on the viewer and a neutral but content expression. The painting is a journal page created in mixed media, including acrylic paint and pastel. The background has muted colour and design for a dream-like ethereal feel while the girl's face and hair are clear and bold, a nod to the straightforward, down to earth sensibilities of folk art. Another fun art journaling adventure.